The exhibition is biennial and it is held every odd year. 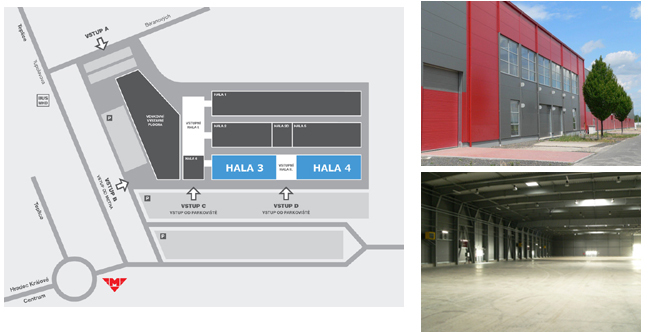 Venue: Prague, Letnany – new halls 3 and 4. We are pleased to invite you to the already 21st international Water Management Exhibition WATER SUPPLIES-SEWERAGE! The Exhibition with its biennial periodicity can be considered the most important meeting of water management experts in the Czech Republic. The event is attracting increasing attention each year and we are doing our best to maintain this positive trend. Come to introduce your innovations, to promote your company and to present your products or services. Take advantage of exceptionally effective way how to strengthen commercial partnerships and establish new ones. Use the efficient possibility how to address directly larger number of clients with precisely predefined interests and needs. 18. 5. 2019, 9.00 a.m. – 8.00 p.m. | 19. – 20. 5. 2019, 7.00 a.m. – 8.00 p.m.
21. 5. 2019, 8.00 a.m. – 7.00 p.m. | 22. 5. 2019, 9.00 a.m. – 6.00 p.m. | 23. 5. 2019, 9.00 a.m. – 5.00 p.m.
21. 5. 2019, 10.00 a.m. – 6.00 p.m. | 22. 5. 2019, 10.00 a.m. – 6.00 p.m. | 23. 5. 2019, 10.00 a.m. – 4.00 p.m.
23. 5. 2019, 5.00 p.m.– 12.00 midnight | 24. 5. 2019, 7.00 a.m. – 7.00 p.m.